These gloves are made for superior fit and comfort! This one-size-fits-most design makes them perfect for gift giving. Made with Lycra spandex, the contoured fit feels good and looks great. 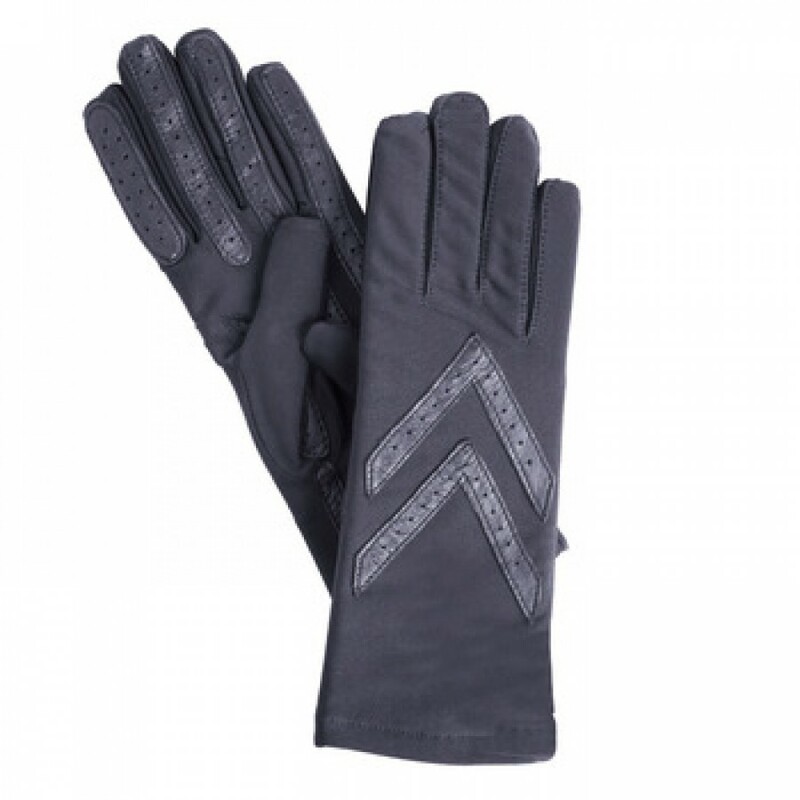 The fabric is specially treated to repel snow and rain to keep your hands warm and dry. 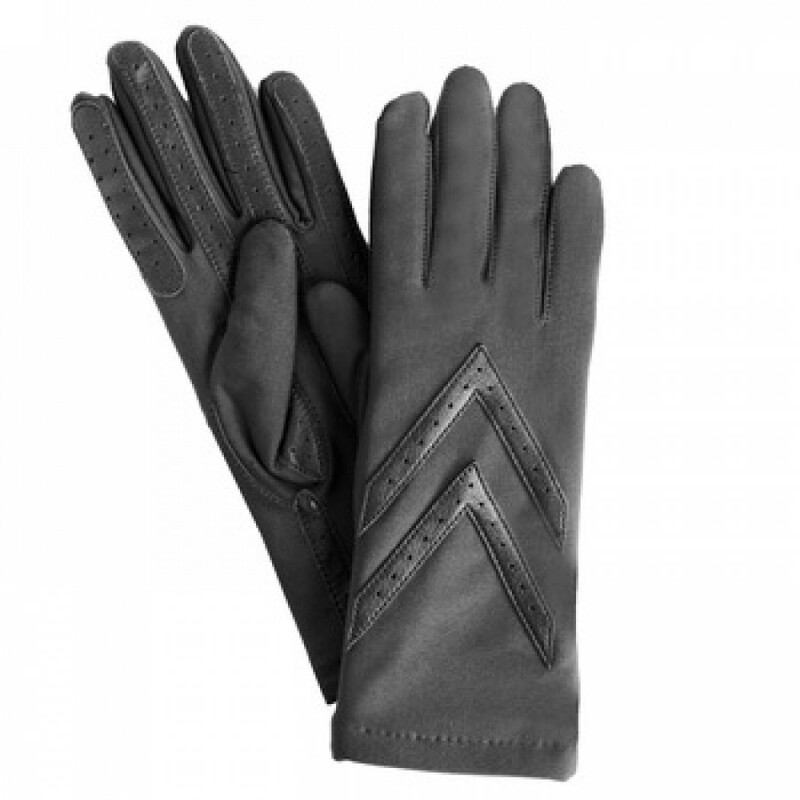 Genuine leather palm strips offer improved grip and extended wear. Leather chevrons reveal incredible attention to good-looking details. Black is also available in extra large. Thinsulate lined.